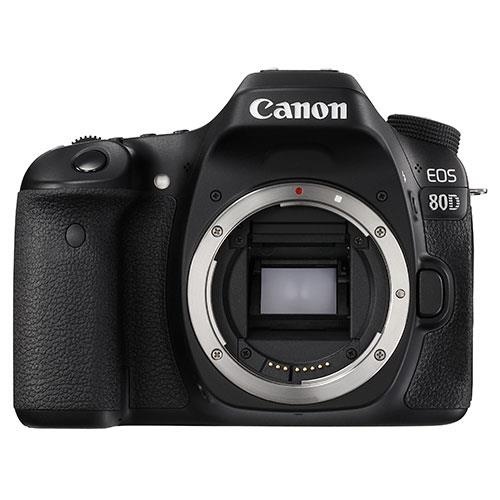 The Canon EOS 80D is the successor Canon's best selling EOS 70D. The 80D upgrades with a newly developed 24.2MP APS-C sensor, 45-point all cross-type autofocus, updated Dual Pixel AF for live view still and video recording. 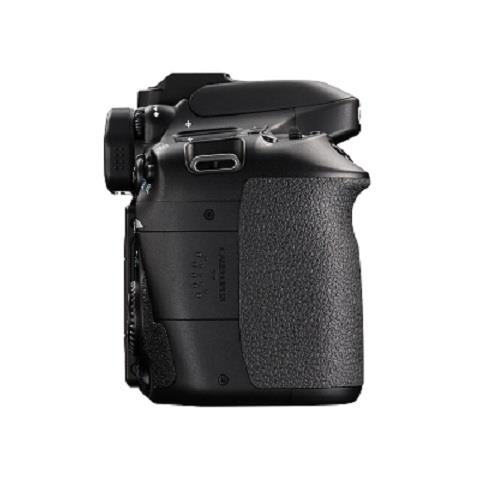 The Intelligent Viewfinder with 100% coverage and large intuitive Vari-Angle LCD touch screen make it easy to creatively compose your shots. Wi-Fi with NFC makes it simple to connect and share to your smart device and capture photos and movies remotely from the camera. The versatile EOS 80D is ideal for exploring new areas of photography and achieving the stunning results your creativity deserves. Unlock your creative potential - Fast, instinctive controls and innovative technologies help you easily advance in every area of photography and video. 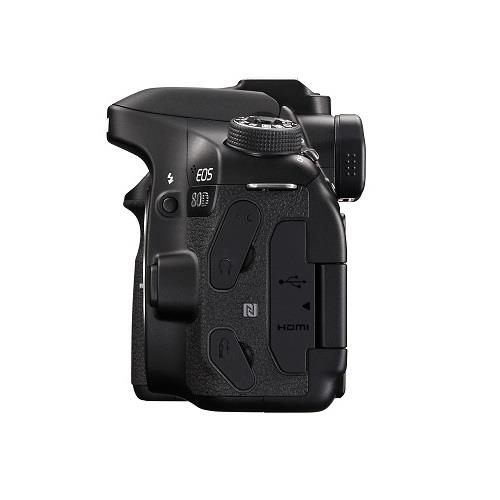 Capture split-second action with 7 fps continuous shooting and a responsive 45 point all cross-type AF system which provides high accuracy in a range of lighting conditions and with a wide range of lenses. 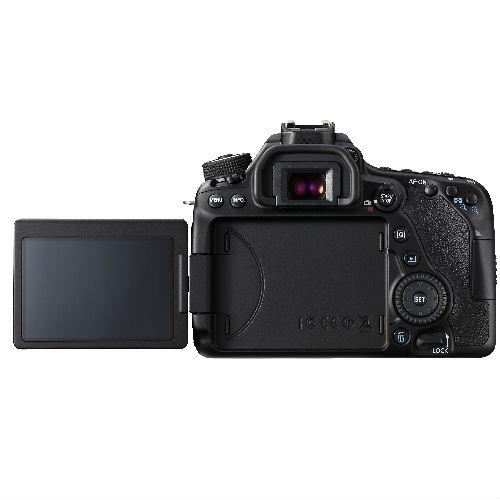 Stunning quality - Capture atmospheric, vivid and detailed images in any situation thanks to the 24.2 MP APS-C CMOS sensor and the 7,560-pixel RGB+IR metering sensor that gives you accurate exposures. A large ISO sensitivity range of ISO100-16,000 and Flicker Detection give great results in low light and consistent exposure under flickering artificial lights. Be in control and develop your photography - The Intelligent Viewfinder with 100% frame coverage lets you see everything in your shot while framing and instantly displays shooting settings. 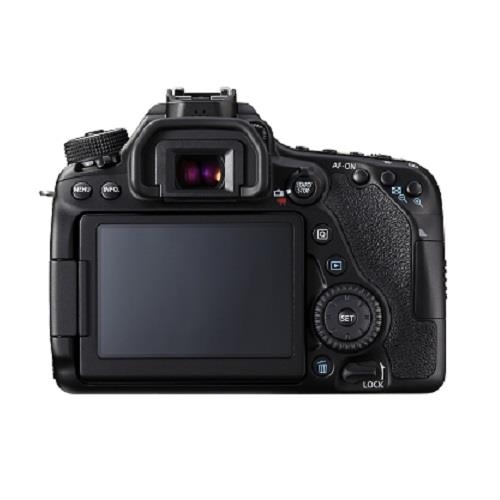 Explore creative shooting angles and enjoy intuitive control with the large 7.7cm Vari-Angle LCD touch screen, which you can also use to compose and shoot action with Live View at 5fps shooting with continuous Auto Focus. Perfect your movies - Shoot Full HD 60p movies with the option to create smooth action sequences or slow motion effects in MP4 format with a choice of frame rates. 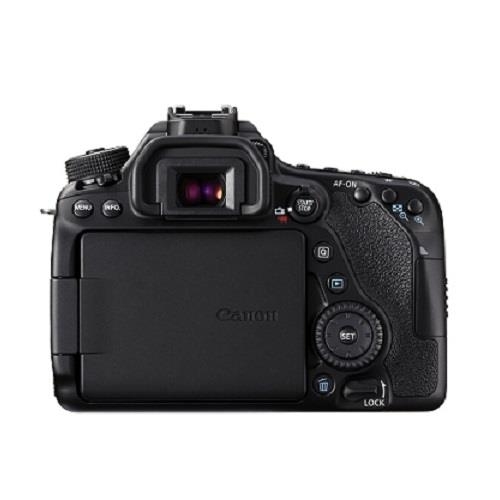 Dual Pixel CMOS AF provides a powerful Auto Focus system for tracking moving subjects, while Timelapse Movie, HDR and Creative Filters let you create special effects in-camera. Easy sharing, remote shooting - NFC and Wi-Fi makes it simple to connect and control the camera and shoot movies and photos remotely by using the Camera Connect App on compatible smartphones and tablets. 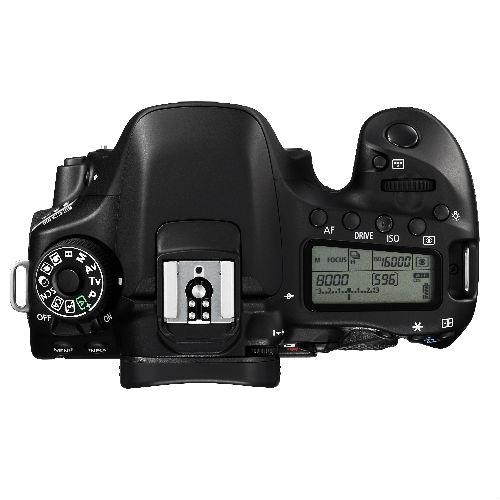 Alternatively you can use the EOS Utility software on your Mac or PC to shoot from a distance. You can also use Wi-Fi and NFC to transfer to the Canon Connect Station or print your images with compatible printers.